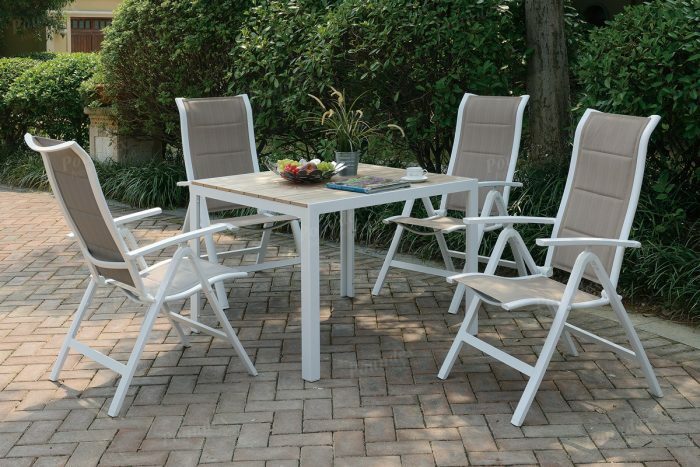 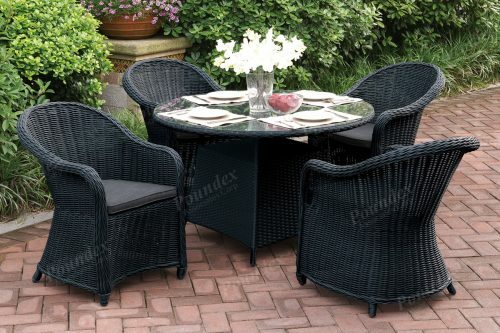 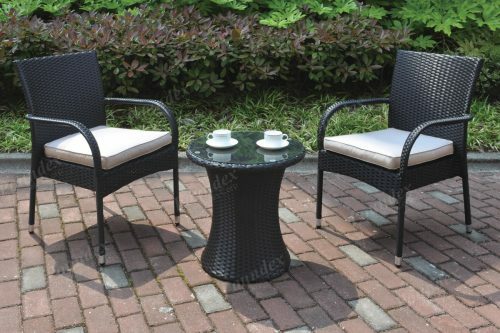 Fusing the traditional beach table and chair into a casual outdoor patio table set is conveyed with this design. Each chair features a modern twist with vinyl seating trimmed with a white aluminum frame. 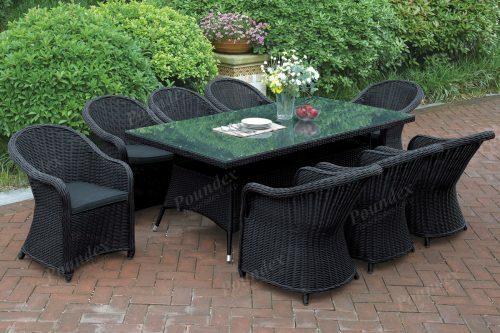 The table includes matching hues with a multi-panel tabletop. 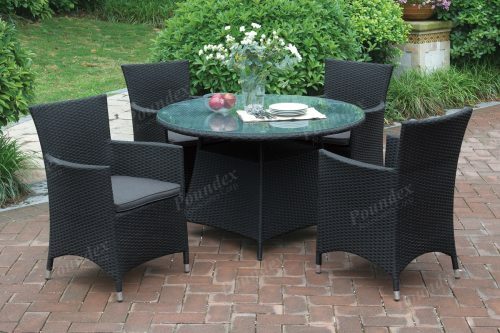 Available sets includes seating and table for five or in a larger version seating six.